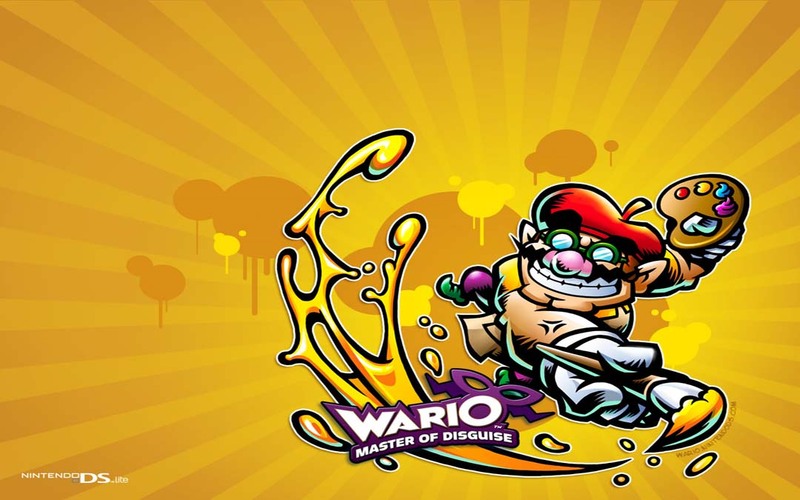 The latest in the Wario series of games has finally arrived, but will Master of Disguise be worth your time? First Impressions: Whenever possible, we try to give our loyal website viewers the most video footage and most in depth unbiased reviews imaginable. Part of that development is our "initial impressions" where we offer up our first impressions of the title that we are playing. This gives our website visitors more of clear understanding of what to first expect out of the game when they initially pop it into their consoles. If you scroll to the bottom of the page in the Rent vs. Buy section of the review and do not see the "final impressions" assessment then it's safe to say that you are reading our initial impression of the game. Once the final impression is up, there will be no further video or review done to that particular title. Final Impressions: The final impression is just that, our completed breakdown and overall thoughts on the game based off of our entire game playing time. You can locate the final impressions assessment in the "Rent vs. Buy" section of the review (always located at the very end of all of our reviews). Here you will be able to read our final thoughts on the title and also see any potential grade changes that were made to the game as well (higher or lower). Should a grading change occur, it will be clearly noted with the previous grade, the new grade, and why the change occurred. Although this approach is more time consuming and requires many more man hours, our entire goal has always been to provide the best and completely unbiased reviews possible and we feel that the inclusion of the Initial Impressions and Final Impressions sections will give you a better view of what to expect from a new game. All that we ask in return is for you to continue to support Krakrabbit.com by visiting the site and letting others know about our cause. Together we can supply our fellow gamers with the most impartial information so they can make an informed decision on whether to buy or rent this particular title. Waaaario: The story of Wario: Master of Disguise features Wario, the greedy, selfish, fat (er) version of Mario. While watching a TV show about a master thief, Wario decides to jump into the TV to start his own thieving adventures. As you can probably tell, the story isn't the strong point of Wario, and while the story is weak, the gameplay can be genuinely enjoyable. The gameplay revolves around using a variety of different disguises that each give you unique abilities. The Cosmic Wario for example allows you to pack a laser gun, and also give you the ability to make low-gravity jumps. The fact that you need to utilize each suit gives the game some sort of depth, but its nothing that will give you huge satisfaction. WHY: One of the only big flaws with Wario is the crushing difficulty. Wario is supposed to be a game tailored to smaller children, and while they can understand the concept of the different suits and their abilities, the core of the game is punishing even to adults. Each and every environment look confusingly similar, with maybe one very subtle, almost unnoticeable different thrown into the mix. Travelling around the environments often takes countless backtracking and careful inspection of your surroundings! Rent vs. Buy: Overall, Wario: Master of Disguise is a decent game with DS level graphics and an interesting aspect with the disguise element. The arduous difficulty takes the game out of children's hands though, and makes this an average game to adults. Want to know which titles are booming overseas? How about patch notes and announcements for your favorite games? This is the place to get your daily gaming headlines from around the world. Enjoy watching streams of your favorite games? Want to see the latest demos? If the answer is yes, you have come to the right place! Enjoy eye candy? So do we! Check out the latest and greatest screenshots from recent and upcoming hot titles in the gaming world! Want to know when the next greatest game is coming out? This is the place to see the schedule of gaming releases for the near future! Waiting for the next big console or game to drop? Check here for an up to the minute countdown to the latest and greatest in gaming! The rating system employed by the review staff at Krakrabbit.com is one that anyone put through an education system are familiar with: simple letter grades! The goal of our F.A.Q. section is to give our viewers a better understanding of what Krakrabbit is about and what our mission goals for this website are. We like giving away free stuff! If you like getting free stuff you might want to check our contest page often to see what type of wicked prize(s) we are currently giving away. You got something to say? Well don't just sit there looking at the screen, click on the "Letter To The Editor" icon and shoot us an email about what's on your mind. You never know, maybe we will even respond!